Today, approximately five million Americans identify themselves as Orthodox. They do so with pride for their faith’s spectacular growth in America, its parishes and places of worship, and for the thousands of converts who regularly join them at religious services. The progress of Orthodoxy in America since its arrival 200 years ago has been impressive, but all is not well today. As is the case with many other Christian denominations, Orthodoxy is confronted with declining Church attendance and a variety of other religious and secular problems. Its largest obstacle, however, is organizational: a single canonical American Orthodox Church that would provide overall direction and unity to the dozen or so ethnic churches that constitute America’s Orthodoxy, does not exist. Needless to say, it is urgently needed. In the view of many Orthodox faithful, the most effective way to achieve this goal is to detach from the Mother Churches in Europe and the Middle East all Orthodox Churches now functioning in the United States, and unify them in a single “American Orthodox Autocephalous Church.” Such a Church would be self-governing and independent of the Ecumenical Patriarchate and all other Church authority. The concept enjoys great support in the United States, especially among lay members of the Church. Opposition is evident too, but mostly from high ranking members of the clergy. Evidence the recent comments on this issue by Metropolitan Apostolos, a member of the Patriarchal delegation to the Boston Clergy-Laity Congress. An “American Orthodox Autocephalous Church,” he charged, would be imprudent and disrespectful and cause to distance America’s Orthodox faithful from the Mother Church in Constantinople. Whether either of the initiatives (above) will succeed is difficult to predict, because three principal obstacles stand in the way. For any Orthodox Church to become autocephalous, it requires the approval of the Ecumenical Patriarch. His authority in this regard is not as absolute as it once was; granting autocephaly today is a Pan-Orthodox process in which all Autocephalous Churches participate. Thus, for an “American Orthodox Autocephalous Church” to become a reality, all fourteen Orthodox Primates will have to agree. 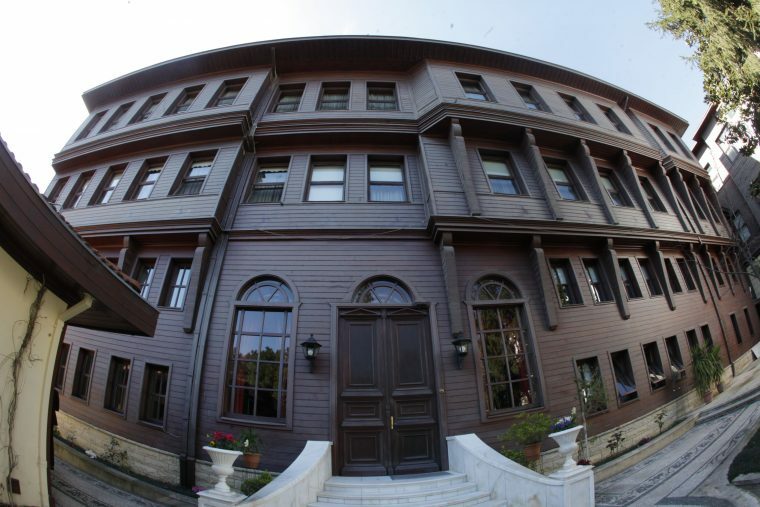 We know that the Ecumenical Patriarch is opposed, so its creation is highly unlikely. The second obstacle concerns the Mother Churches (i.e., the Patriarchates of Serbia, Russia, Antioch, etc.) that theoretically would release their local Churches to an American Church. Again we are dealing with a major uncertainty. The Mother Churches derive considerable influence from their local Churches in America. Why would they want to let them go? There would be no benefit to them doing so. Also, complicating the issue is the fact that a Church already exists in the United States a Russian diaspora Church, known as the Orthodox Church in America (OCA) claims to be autocephalous. Actually it is not, because it received its decree of autocephaly from the Patriarchate of Moscow, rather than by Pan-Orthodox action. What role the OCA will play in the formation of an “American Orthodox Autocephalous Church” or the “United American Orthodox Church” is not known. Will it elect to join them or remain on the outside? Considering the three obstacles, above, and the Ecumenical Patriarch’s known opposition to the establishment of an autocephalous Church in America, the United American Orthodox Church appears to have the best chance of becoming a reality. It is incumbent therefore upon the Orthodox faithful in the United States to work vigorously alongside the Assembly of Canonical Bishops, to help identify what presently ails Orthodoxy and recommend ways for overcoming them. As of this writing, despite its eight-year existence, the Assembly has accomplished little, claiming to be preoccupied with its organizational phase. Ultimately, however, it is expected to develop a proposal for a canonical United American Orthodox Church to serve Orthodoxy in America as an Eparchy of the Ecumenical throne. On approval of its proposal by the fourteen Orthodox Autocephalous Churches, the Assembly plans to conclude its activities. It will be succeeded eventually by a Holy Synod of the new United Church. The United American Orthodox Church will be a major accomplishment that will enormously benefit Orthodox Christianity and allow it to move forward in unity. We can only hope that it will come to pass soon. Dennis Menos is the author of several books and writer on Hellenic and Orthodox issues. I have ceased to hope for this development in my lifetime. 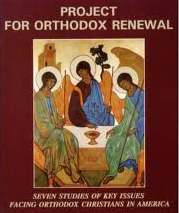 I work toward pan-Orthodox fellowship in my metropolitan area, but do not see any enthusiastic participation among fellow Orthodox jurisdictions. Today it seems it’s “every man for himself”. I believe the very future of Orthodox Christianity in America depends on developing & establishing an American Orthodox Church in the vernacular of the people. If this is not an issue in the ‘here & now’, there is no concern to evoke change. Most Orthodox Christians in the USA seem to be OK with the status quo. What we NEED are RED HOT Orthodox Christians, ON FIRE with the LOVE of our Lord; who have a VISION for the future & are willing to pursue that vision! ANYONE!?! I, too, have given up hope for an autocephalous church in the United States–a church that proclaims the Gospel in the language and idiom of its people. We are fortunate to live in a country with many religious options and the freedom to choose among them. So don’t get frustrated, just move on with hope and faith. Christ is always in our midst wherever two or three of us are gathered in His Name. Mary, Years past I joined the Orthodox Church in America (OCA) but still remained in the GOA. I moved from LI to Princeton, NJ to help build an OCA Church three miles from Princeton University and Princeton Seminary. 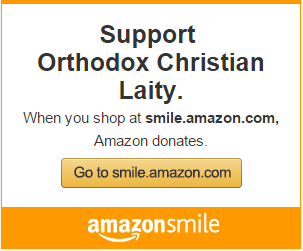 The Church is built and growing with Christ centered Orthodox Christians. The Liturgy is conducted in English and all sermons are in English. Please review this autocephalous Church http://www.mogoca.org also review the monthly bulletin.